A long and sometimes bloody history has left its imprint on the Western Cape, an imprint that sometimes emerges at night in a rather ghostly form. The Karoo is one of the most fascinating places in South Africa, arid and yet brimming with beauty and life. Perhaps that is why Karoo ghost stories are all the more poignant, being set against such a magnificent backdrop. With many graves, ruins, stone kraals and hair-raising horror stories, the Witteberg has an array of ghost stories. One such ghost roams at the entrance gate of the reserve. Long ago while travelling by donkey cart on a full moon night a lone traveler was murdered when he stopped to open the gate. The culprit took the body high up the cliffs and dropped it through a round, man-hole sized opening in the rock face to make it appear like an accident. He then took off with the victim’s donkey cart. A safe distance away, the culprit abandoned the donkey cart and disappeared into the rugged mountainous terrain. The donkeys were found about a week later at the next closed gate, thin and thirsty. The one who found the donkeys was most puzzled, but first took them to a place where they could drink and graze, before investigating further. Nothing resulted from the investigation, until many years later when a reclusive, lone traveler was reported missing. However, not having been properly buried, the recluse is known to roam around in the area of the entrance gate, mostly during full moon nights, but not necessarily only then. One of the oldest buildings in the Western Cape, the Cape Town Castle, was home to many alleged criminals who were kept in a dark room that served as a windowless torture chamber. The walls witnessed many deaths and are scrawled with the graffiti of the damned. The Lady in Grey is the Castle ghost who has made the most appearances. No one really knows who she was, but it is assumed that some tragedy befell her as she is often seen with her hands covering her face, weeping. The skeleton of a woman found during excavations fuelled speculation that the bones belonged to the Lady in Grey. She has seldom appeared since the bones were laid to rest, adding credence to the theory that she had finally been released from the Castle’s clutches. Another being said to haunt the Castle is the ghost of Governor van Noodt, a harsh leader who believed in strict discipline and ruthless punishment for soldiers who disobeyed him. Four soldiers made the fatal mistake of trying to escape his iron-clad rule, but were caught and swiftly sentenced to a beating and deportation. Without warning or reason, the Governor changed their sentence to death, not even paying the men the courtesy of attending their execution. As the final soldier was brought forward for sentencing, he loudly cursed the Governor before being executed. When the officers went to the Governor’s room to report the job done, they found him dead in his chair with an expression of absolute horror on his face. His ghost still roams the Castle, forever condemned by the dying soldier’s curse. Deep in the Tokai Forest is the well-known Tokai Manor. It was completed in 1796 and in the early 1800s was owned by Hendrik Eksteen, an exuberant and indulgent man. Hendrik and his son Petrus were both fond of entertaining and New Year’s Eve was an exceptionally big event at Tokai Manor. Overflowing with guests and vintage wine flowing freely, it wasn’t long before things got out of hand. Petrus, prone to bragging, was describing what a fine rider he was when someone challenged him to prove it. The wager required Petrus to ride his horse up the steep steps into the dining room. Petrus did this without difficulty, but as he began to celebrate, the horse took fright and bolted, slipping on the steep steps and both man and horse plunged to their deaths. New Year’s Eve has ever since been a frightening time at Tokai Manor. Drunken laughter and the neighing of horses can often be heard, after which the air suddenly goes deathly silent. 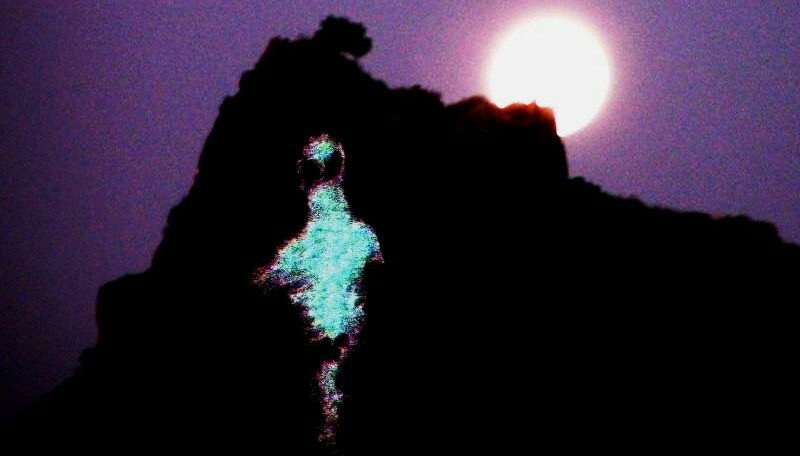 The Uniondale ghost is the most well-known of the Karoo ghosts. Late one night, Maria Roux and her fiancé were driving just outside the town. Maria was asleep when he lost control of the car and she was killed in the ensuing accident, tragically never getting to announce their engagement to her parents. Since then a young woman is often seen hitchhiking on the side of the road, but once offered a lift and having climbed into the car, she vanishes. Others have reported the doors of the cars opening and closing automatically as she gets out. Motorcyclists have reported feeling a small jolt before noticing she is gone, courteously leaving their spare helmets neatly fastened in place. Many think Maria is still desperately trying to reach her parents to tell them her exciting news about her engagement. The Karoo National Park, a beautiful Karoo destination, is prone to some eerie weather. The mountains often get covered in a thick mist that muffles the area. Locals attribute the mist to the water ghost, a cunning spirit that covers the mountain in thin cloud, allowing it to move around freely and undetected. Prone to mood swings, this ghost sometimes entices livestock into its midst and leads them to their drowning death in a deep pool. To add to the eerie atmosphere, a few lonely, unmarked graves in the area poke through the swirling mist. Many locals are too afraid to even walk past in case they never emerge on the other side. 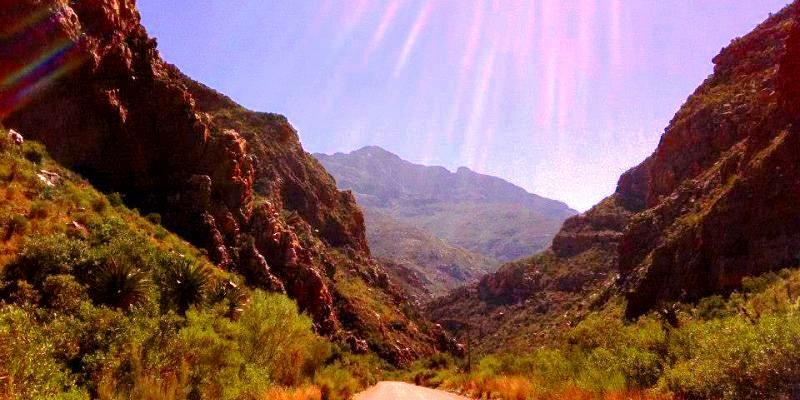 Seweweekspoort is one of the most spectacular mountain ravines, doubling as one of three major gateways that link the Central and Little Karoo. Better known as Smuggler’s Route, it was once the main route for brandy smugglers, runaways, slaves and outlaws. In an attempt to combat the criminal use of the road, a toll-house was built, demanding that all who passed through pay a fee. The ruins of the old toll-house at the northern entrance to the Poort are still inhabited by the ghost of the first toll-keeper. 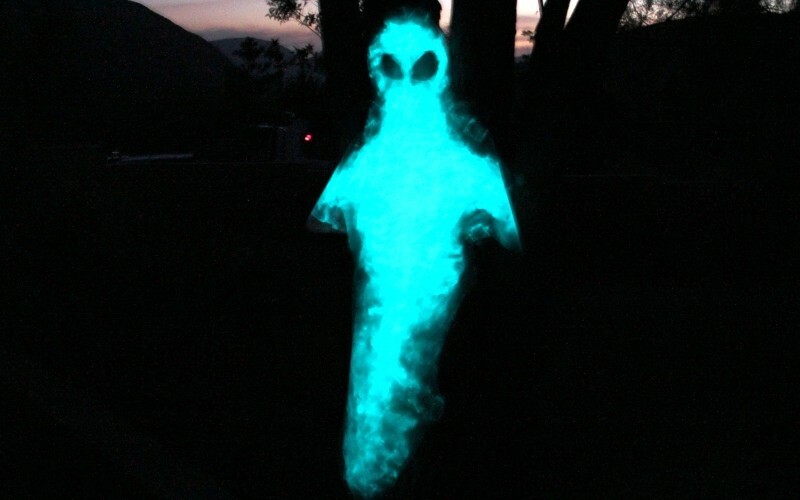 Some report that he runs frantically into the road on cloudy nights, waving his lantern to warn travellers of a threatening storm or raging river ahead. Others say he flags down motorists to collect toll fees, but vanishes the moment they stop. No one knows why the toll-keeper has never left his post, but one is advised to always carry cash in case he demands his toll. Closer to home, just northeast of the Witteberg Private Nature Reserve, lies the historic village of Matjiesfontein. In 1899 James Douglas Logan built the Lord Milner Hotel there, home to a myriad of ghostly beings. Kate, the most poignant of all, can often be seen staring out of the window of the top turret, her white dress flowing in the breeze. She was a young woman who worked as a nurse in the hotel’s earlier days and loved to play cards with the convalescing patients. At only 19, she died suddenly without cause or reason in a mystery that remains unsolved to this day. In the card room, the noises of cards being shuffled accompanied by soft crying are often heard, with Kate occasionally coming out, floating around in her nurse’s uniform.